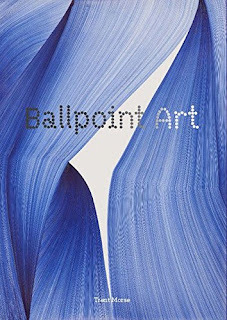 ✦ Trent Morse's new book Ballpoint Art (Laurence King Publishing, 2016) was published last month. The 176-page book with 172 illustrations showcases art from around the world made entirely with ballpoint pens. Thirty artists, including Angiola Gatti, Jane Fabre, Thomas Muller, Wai Pong-Wu, and Lori Ellison, are featured. ✦ The video series Artists on Art provides insights about work in the Los Angeles County Museum of Art's collection. Among the series offerings are Alison Saar on Ernst Ludwig Kirchner, Betye Saar on Ceremonial Board, Catherine Opie on Thomas Eains, Jacob Samuel on Albrecht Durer, Judy Fiskin on Lee Friedlander, and Thomas Houseago on Tony Smith. ✦ There's lovely work to be discovered on the blog of Argentine visual artist Stella Maris Tessitore. 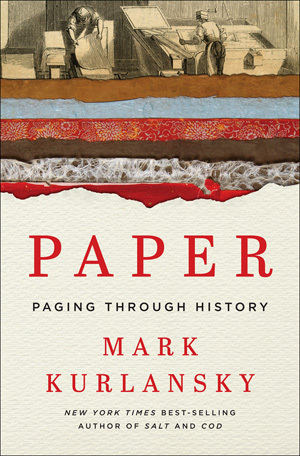 ✦ Paper artists and paper art collectors will find Mark Kurlansky's Paper: Paging Through History (W.W. Norton, 2016) an interesting read. 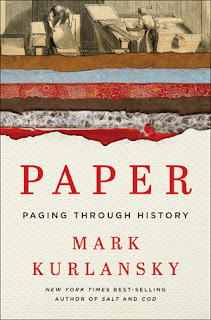 Kurlansky traces the evolution of paper from antiquity to the present and challenges our assumptions about technology's influence. According to Kurlansky, paper will be with us for a long while. ✦ Coille Hooven creates her feminist fairy tales from sculpted clay. Read Priscilla Frank's illustrated article "For 50 Years, This Feminist Ceramicist Has Told Stories With Clay" at Huffington Post (August 2016). Hooven's retrospective exhibition of more than 30 years of work, "Tell It By Heart", opened at New York City's Museum of Arts and Design on September 22 and continues through February 5, 2017. ✦ Following is the trailer for Water Paper Time, a look at Helen Hiebert's papermaking process. Using time-lapse photography, the film demonstrates how time, gravity, and molecular structure, among other factors, affect handmade paper. (A DVD is available.) Visit the Helen Hiebert Studio, near Vail, Colorado, a professional hand-papermaking studio. In 2016, Hiebert celebrated 25 years of artmaking with a retrospective exhibition and catalogue, The Secret Life of Paper: 25 Years of Works in Paper by Helen Hiebert. 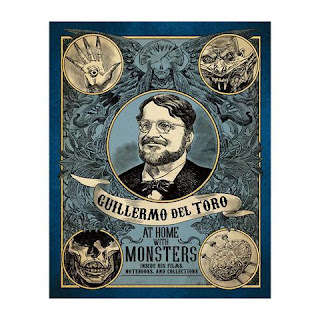 ✭ Filmmaker Guillermo del Toro is the subject of his first museum retrospective, "Guillermo del Toro: At Home with Monsters", at Los Angeles County Museum of Art. On view through November 27, the exhibition examines del Toro's creative process through the filmmaker's own collection of paintings, prints, sculpture, photography, costumes and other artifacts, maquettes, and concept film art, as well as drawings from his notebooks and objects from LACMA's permanent collection. The exhibition is organized around eight themes: Childhood and Innocence; Victoriana; Magic, Alchemy, and the Occult; Movies, Comics, Pop Culture; Frankenstein and Horror; Freaks and Monsters; Death and the Afterlife; and Rain Room. View a selection of images from the exhibition, which is ticketed. The co-organizers of the exhibition are Minneapolis Institute of Art and Art Gallery of Ontario. A 144-page, fully illustrated catalogue, Guillermo del Toro: At Home with Monsters: His Films, Notebooks, and Collections (Insight Editions), is available. ✭ In Auburn, Washington, the White River Valley Museum is presenting through November 6 "Handmade in Camp: What We Couldn't Carry", an exhibition of more than 60 objects crafted from found materials by Japanese-Americans incarcerated in the United States during World War II. On display are furniture, jewelry, tools, paintings, needlework, a scrapbook, toys and games, and quilts. Quotes from local families accompany the objects. Read Arlene Kiyomi Dennistoun's article "Artistry Arising from the Incarceraion of Japanese Americans — A Hard Subject on Display at the White River Valley Museum" in Northwest Asian Weekly. ✭ Boston's Museum of Fine Arts continues through December 4 "Della Robbia: Sculpting with Color in Renaissance Florence", an exhibition of approximately 50 objects, including glazed terracotta, Madonna and Child as well as narrative reliefs, small- and large-scale figures, coats-of-arms, and still lifes. The objects on display are drawn primarily from American collections but include loans from Italy that are being shown for the first time in the United States. The latter include Della Robbia's glazed terracotta The Visitation (c. 1445) from the church of San Giovanni Fuorcivitas in Pistoia. A slideshow and videos are available at the exhibition link above. A 176-page exhibition catalogue is available. ✭ Tomorrow, October 1, in Old Lyme, Connecticut, the Florence Griswold Museum opens "In Place: Contemporary Photographers Envision a Museum". The exhibition, which continues through January 29, 2017, features the work of 10 extraordinary photographers commissioned to create new work based on the museum's own collections, spaces, and landscape. The photographers are Tina Barney, James Welling, Alida Fish, Kate Cordsen, Sophie Lvoff, Marion Belanger, Adrien Broom, Peter Daitch, Ted Hendrickson, and Tom Zetterstrom. Among the pieces will be cyanotypes and video. Details about the exhibition and information about each of the artists are available at the exhibition link above. A fully illustrated catalogue documenting all the new work accompanies the exhibition. ✭ The Pasadena Museum of California Art has mounted a show of large felt sculptures and abstract paintings and prints for "Lloyd Hamrol/Joan Perlman: 'a sky in the palm of a hand'" (the quote is from W.S. Merwin's poem "No Shadow"). On view through February 19, 2017, the exhibition, a look both at shared ideas and contrasts in materials and processes, features Hamrol's new suite of biomorphic floor-based works and Perlman's new monoprints and acrylic paintings on canvas. Both artists explore in their work the relationship between culture and nature. A brochure is available. 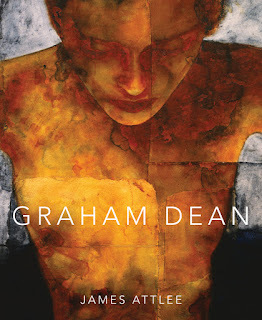 Britain's Graham Dean, an internationally known figurative painter, is exhibiting solo for the first time in two decades in his hometown of Brighton. Coinciding with the publication of a book about Dean by James Atlee, titled Graham Dean (Unicorn Publishing Group, September 30, 2016), the exhibition of the artist's extraordinary watercolors opens October 8 at Cameron Contemporary Art and continues for a month, through November 7. 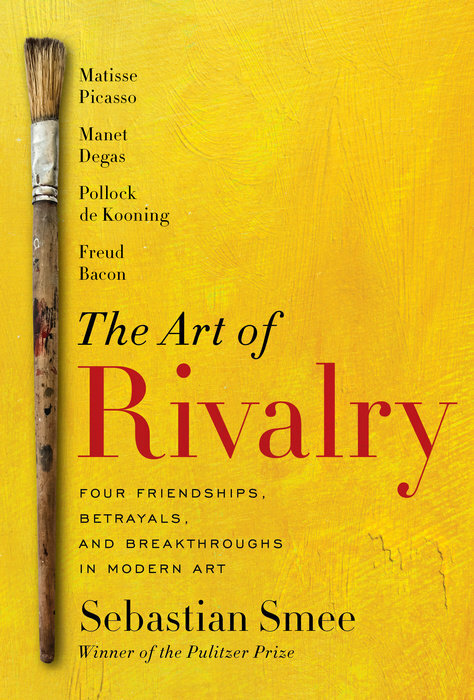 Today's Thursday's Three presents a trio of new art books. 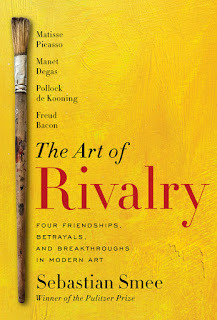 ✦ The Art of Rivalry: Four Friendships, Betrayals, and Breakthroughs in Art (Random House, August 16, 2016) ~ The wonderful arts critic Sebastian Smee tells an absorbing story of four pairs of artists — Edouard Manet and Edgar Degas, Henri Matissse and Pablo Picasso, Jackson Pollock and Willem de Kooning, and Lucian Freud and Francis Bacon — and how each pair's relationship moved beyond friendship to spark competition and creative innovation. ✦ Hanna Hoch: Life Portrait | A Collaged Autobiography (The Green Box, September 27, 2016) ~ The last and largest work by German artist Hannah Hoch (1889-1978), known for her association with Berlin's Dadaists, was Life Portrait (c. 1972-1973), which was a photocollage that measured nearly 4 feet by 5 feet. Just out, the book, which is in English, separates Life Portrait into 38 sections, each identified by Hoch and each of which includes explanatory text and original quotations. The 96-page book includes 40 color and 3 black-and-white images, including an overview of the entire artwork. Alma-Elisa Kittner provides the Introduction. 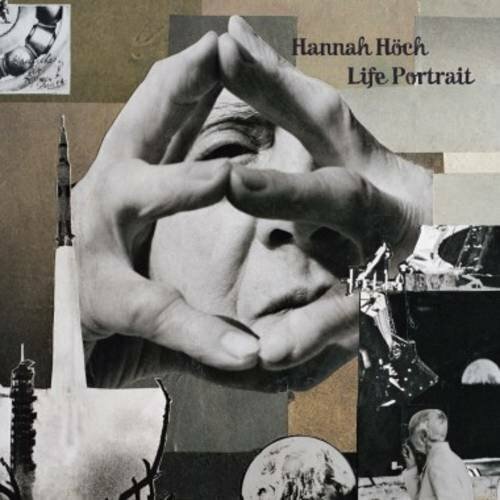 Read Cory Reynolds's post on Hannah Hoch's Life Portrait at ArtBook blog. ✦ Art Is the Highest Form of Hope & Other Quotes by Artists (Phaidon Press, October 2016) ~ This is a 336-page compilation of quotes by painters, sculptors, photographers, and other visual artists. 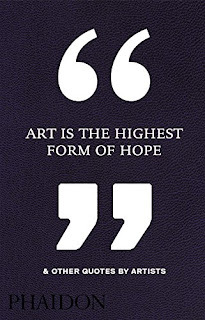 Curated by Phaidon editors, the quotes range across numerous subjects, from beauty, to color and light, to fear of failure, to originality and the creative process, to money problems, to personal advice. I first became familiar with the work of photographer Aliza Augustine while interviewing filmmaker and poet Janet R. Kirchheimer* about her and Augustine's collaboration on a Holocaust-related multimedia exhibition titled "How to Spot One of Us". Both Augustine's and Burstein's work will be showcased in a special exhibition, "Memory of the Holocaust and the Second Generation", at the Berlin Foto Biennale 2016, 4th Biennial of Fine Art & Documentary Photography, which opens October 6 at the Palazzo Italia. Work by three other photographers — Vianne Rea, Quyen Pfeifer, and Sebastian Holzknecht — also will be in that special show. Altogether, nearly 450 contemporary photographers from 42 countries will be represented at the Biennale, which will continue through October 30. An Israeli-American and the daughter of Holocaust survivors, Augustine has been exploring aftermath and survival in her ongoing project Documenting the Second Generation: Children of Holocaust Survivors. Combining fine art portraits of survivors' children, who were found via social media, with their Holocaust-era family photos, Augustine's images capture profoundly how the Holocaust shaped not only the lives of survivors but also the lives of family members, including children. The images are as poignant as they are thought-provoking. Augustine trained as a painter at Rhode Island School of Design. 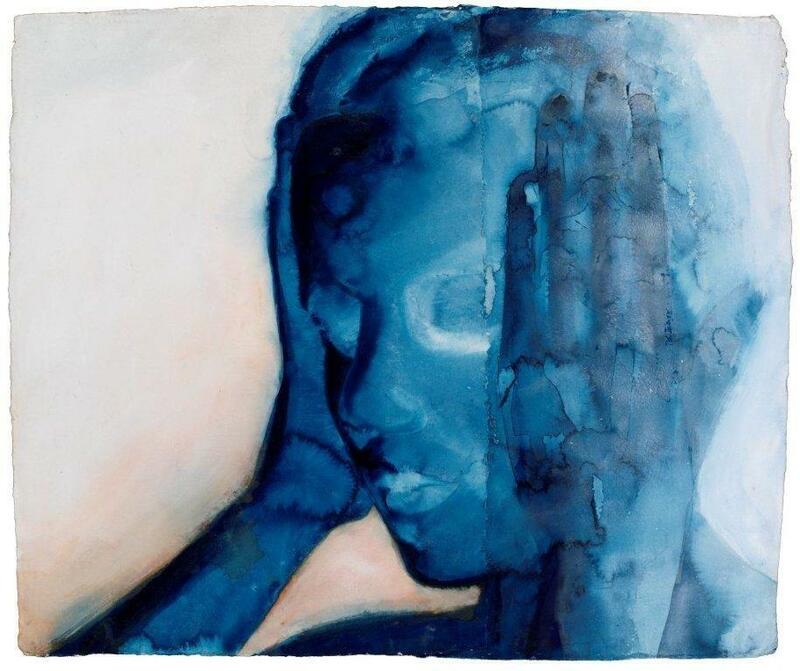 She has exhibited in museums and galleries and at colleges and universities in the New York City area and throughout the United States. Read Rukh Schaechter's 2015 article in Forward, "How Family Holocaust Stories Became Multimedia Art Exhibit", to learn more about Kirchheimer's and Augustine's collaborative exhibition. American Beth Burstein has created a haunting photo essay, The Legacy: A Daughter's Experience of the Holocaust, which documents her father's World War II experiences in a Jewish ghetto in Kaunas, Lithuania, and in a concentration camp near Dachau, as well as her own experience as a child of a Holocaust survivor. 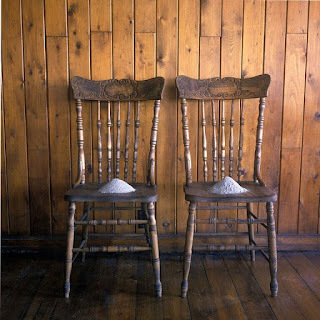 Shown in three solo exhibitions in the U.S., Burstein's project is in two parts: "Part 1, The Family Heirloom", and "Part 2, I Thought It Would Feel Like Home". Two of Burstein's photographs from the photo essay will be included in the Berlin exhibition. Burstein has a bachelor's degree in photography from Hampshire College in Massachusetts. The Legacy has been published as a book in hardcover and softcover. It also is available as an e-book. * See my interview with Janet R. Kirchheimer: Part 1, Part 2, and Part 3. ** Gallery of Images for Documentary and Editorial Category: Augustine's photos: first row, second from left; second row, fifth from left; third row, first and second from left. Burstein's photo is in the first row, third from left. *** Gallery of Images for Self Portrait Category: Burstein's photo, My Father's Uniform (from the series The Family Heirloom) is the first in the first row, beginning on the left. **** Gallery of Images for Portrait Category: Burstein's photo, The Family Portrait: My Grandmother Rachel, 40, and Aunt Ida, 11, After Auschwitz (from the series The Family Heirloom) is the first photo in the fourth row, beginning on the left. Life-long poet, lecturer, and teacher Gerald Stern, born in 1925 in Pittsburgh, Pennsylvania, today resides in quiet Lambertville, New Jersey—still writing and reading and connecting through his words. Described as "uncontainable"*, the prolific Stern takes up in his expansive work subjects that range over the entirety of human experience, from his Jewish childhood, to love and marriage, to loss and grief, to art, music, and dance, to emptiness and futility, to aging and memory, to suffering and death, to war and violence, and much more. He makes room on the page not only for beauty but also for pain, for the neglected, the misfit, the underdog. He writes in a voice that veers from the passionate, to the satiric and humorous, to the angry, to the lyrical, to the meditative. Stern has written more than a score of poetry books, most recently Divine Nothingness: Poems (W.W. Norton, 2014; paper, 2016). A new collection, Galaxy Love: Poems (W.W. Norton), is expected to go to press in April 2017. The recipient of numerous prizes, Stern has been recognized with a Frost Medal, a National Book Award (for Time: New and Selected Poems), the Bobbitt National Prize for Poetry (for Early Collected Poems), the Paterson Poetry Prize (for Bread Without Sugar), and the Poetry Society of America's Melville Caine Award (for The Red Coal). Other honors include the prestigious Ruth Lilly Prize, the Rebekah Johnson National Prize for Poetry at the Library of Congress, the Jerome J. Shestack Poetry Prize, the Bess Hokin Prize, and the Wallace Stevens Award, and fellowships or grants from the Academy of American Poets, Guggenheim Foundation, National Endowment for the Arts, and Pennsylvania Council on the Arts. He also served two years, 2000-2002, as New Jersey's Poet Laureate. Stern is an essayist as well. His essay collections include What I Can't Bear Losing and Stealing History. His Death Watch: A Meditation (Trinity University Press) is to be published in January 2017. The excellent local series of in-depth conversations with poets, "The Life of a Poet", begins a new season just days from now. The series, co-sponsored by the Library of Congress and The Washington Post, is moderated by Ron Charles, editor for the newspaper's Book World section, and is held at Hill Center at the Old Naval Hospital in Washington, D.C. In addition to discussing career and major works, the poets read from their work. On Thursday, September 29, 7:00 p.m. - 9:00 p.m., the award-winning Terrance Hayes, author, most recently, of How to Be Drawn (Penguin Poets, 2015), finalist for both the National Book Award and the National Book Critics Circle Award, starts off the 2016-2017 series with Charles. Hayes is co-director of the Center for African American Poetry and Poetics and an English professor at the University of Pittsburgh. 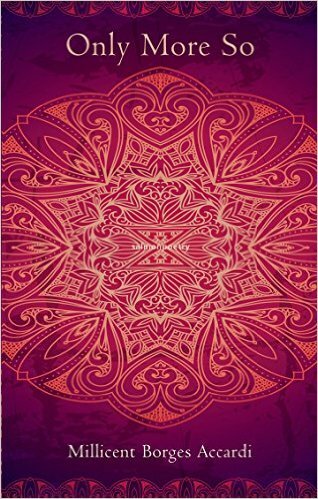 The author of four poetry collections, Brenda Shaughnessy joins Charles on Friday, February 7, 2017, 7:00 p.m. - 9:00 p.m. Shaughnessy, who teaches at Rutgers University, Newark, New Jersey, published So Much Synth (Copper Canyon Press) this past May. 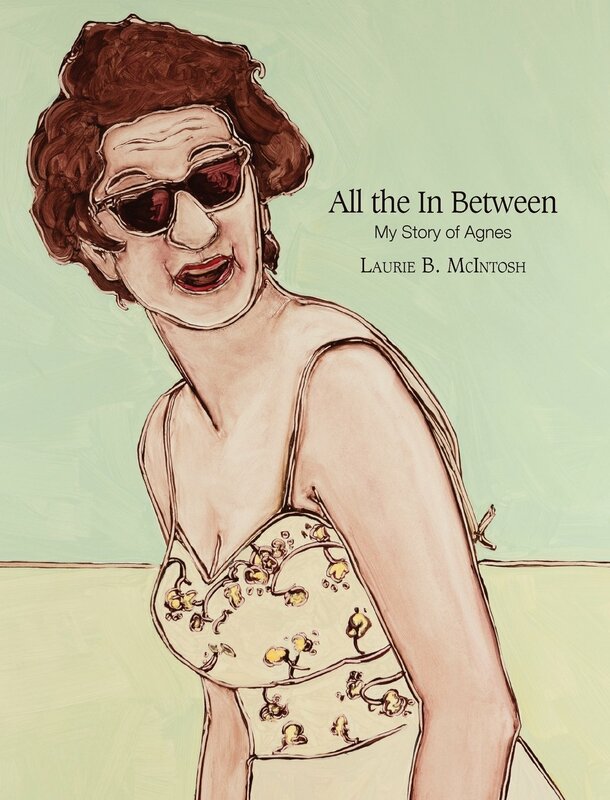 Shortlisted for the 2013 Griffin Poetry Prize (for Our Andromeda), she is the recipient of a James Laughlin Award and was a finalist for a National Book Critics Circle Award (both for Human Dark with Sugar). On Tuesday, April 4, 2017, 7:00 p.m. - 9:00 p.m., Charles talks with Dana Levin. 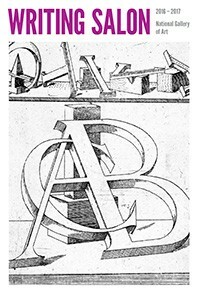 The author of the forthcoming Banana Palace (Copper Canyon Press, October 11, 2016), Sky Burial (Copper Canyon Press, 2011), and two other collections, Levin has received a number of prestigious awards, including the Honickman First Book Prize, the John C. Zacharis First Book Award, the PEN/Osterweil Award, and the Witter Bynner Prize (all for In the Surgical Theatre). Levin teaches at Maryville University, St. Louis, where she also is the inaugural distinguished writer-in-residence. Levin is a participant at the 2016 Fall for the Book, continuing through September 30 at George Mason University, Fairfax, Virginia. Those who don't live in our area or miss one of Charles's conversations will find each recorded and made available on YouTube. All "Life of a Poet" events are free and open to the public but registration is required. with whatever hurts most; . . .
Today's short is the trailer for A Tale of Love and Darkness, written and directed by and starring Natalie Portman. Based on A Tale of Love and Darkness (Mariner Books, 2005), Amos Oz's autobiographical novel about childhood in Israel in the early days of the country's independence, the film was screened at the 2015 Cannes Film Festival and premiered in July 2016 in New York City. 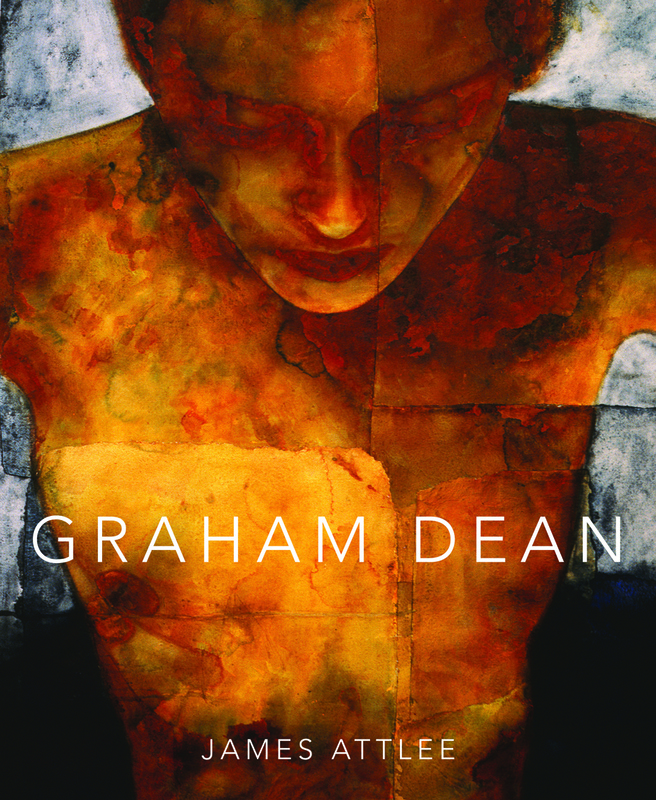 ✦ Due out in early October is James Attlee's Graham Dean (Unicorn Publishing Group) a book about acclaimed figurative artist Graham Dean. (See my Wednesday Artist column of June 29, 2016.) Attlee surveys Dean's four-decades-long career, examining his early post-Pop images, urban realist paintings, and current monumental watercolors of the human body (they're exquisite). The book will be available internationally, and also at Cameron Contemporary Art in Brighton, United Kingdom, Dean's hometown. Among Attlee's other books are Gordon Matta-Clark: The Space Between (2014). Coinciding with the book's release is a solo exhibition at the gallery, which will run from October 8 through November 6; it's the first major show of Dean's work in Brighton in 20 years. View additional White Noise images. ✦ The National Gallery of Art, Washington, D.C., is host to Drawing Salon, a series of free workshops open to the public, ages 18 and older, led by practicing artists and museum educators. Drawing materials are provided. Upcoming programs address "Hudson River Landscapes" and "American Modernism". Other topics, beginning in 2017, are "Dutch Seascapes", "The Shaw Memorial", and "Calder's Mobiles". For dates and other details, see Drawing Salon or download the 2016-2017 schedule (pdf). ✦ Beginning September 28, Marianne Lettieri will conduct at the Berkeley, California, Center for the Arts & Religion at Graduate Theological Union a 15-week class introducing activities and responsibilities of art display and gallery management in religious contexts. The course will include lectures, reading discussions, conversations with artists, and field trips. In addition, attendees will collaborate on a culturally significant exhibit at Doug Adams Gallery. The course is open to the public. Register online. 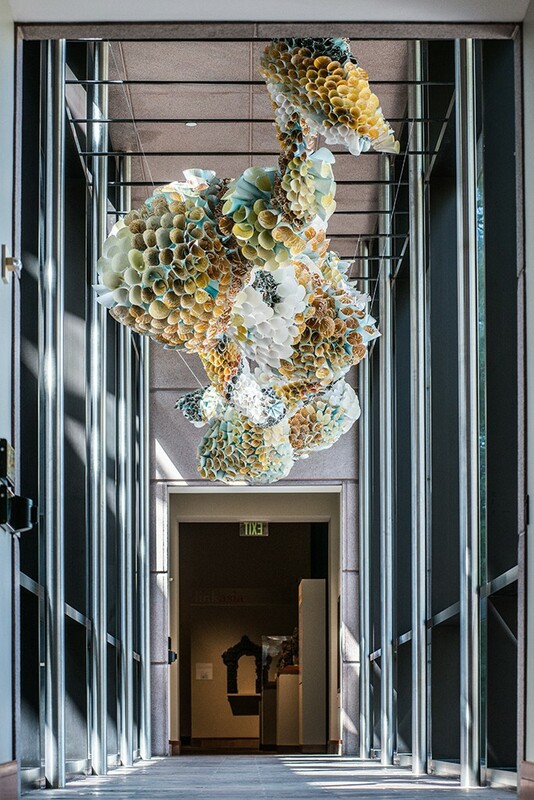 The solo exhibition "Marianne Lettieri: Reflections" at San Francisco's Museum of Craft and Design continues through January 22, 2017. ✦ Hieronymus Bosch has been dead for 500 years but his Garden of Earthly Delights (c. 1500) continues to fascinate. The Public Domain celebrates the three-panel painting with a selection of close-ups. ✦ More than 100 photographs of New York City are featured in a volume of street photography by Lee Friedlander: Street: The Human Clay (Yale University Art Gallery, September 20, 2016). 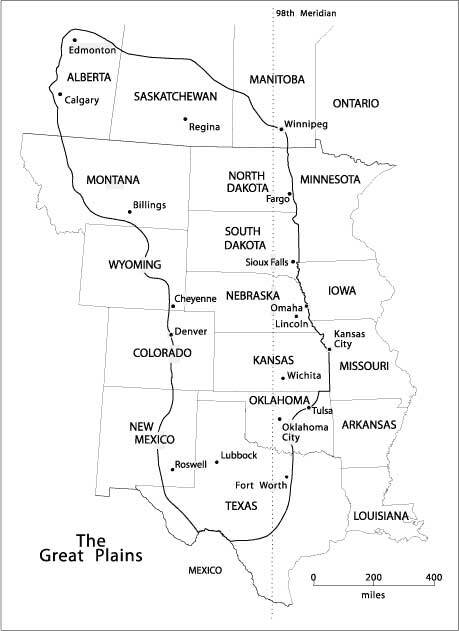 Also included are images of Atlanta, Buffalo, Denver, Los Angeles, Miami, New Orleans, and San Francisco. 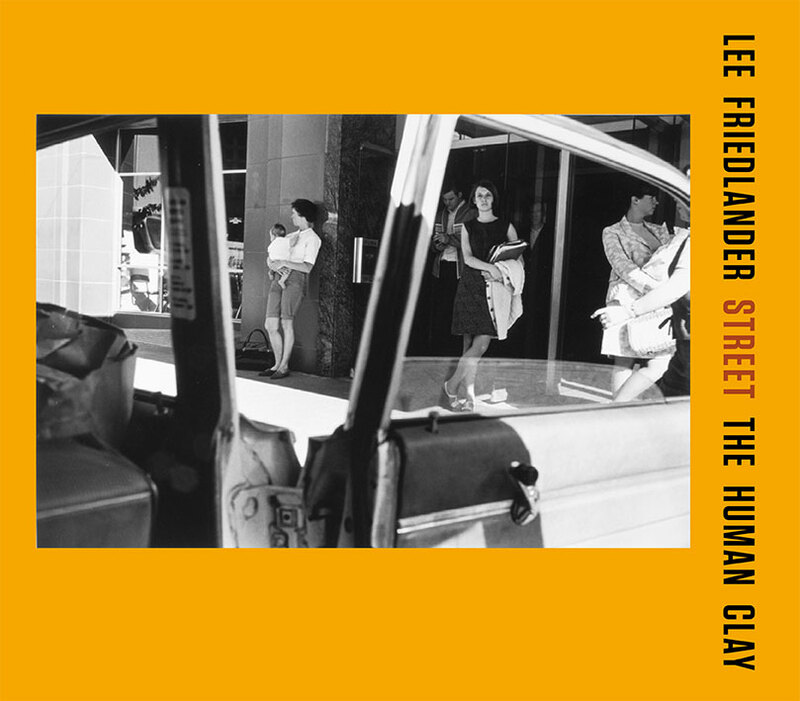 Last year, the gallery released Friedlander's Portraits: The Human Clay. ✦ Highly detailed, the miniature graphite drawings of Mateo Pizarro contain narratives waiting to be written. Pizarro's artworks have been featured at This Is Colossal, Twisted Sifter, The Inspiration, and Juxtapoz. ✦ Contemporary street artist and filmmaker Nils Westergard of Richmond, Virginia, signs his painted and stenciled pieces, which include murals, with a butterfly. His street art can found throughout the United States, as well as abroad—in Australia, the United Kingdom, Belgium, France, and Austria, among other nations. See Westergard's studio art. ✦ Below is The Ceramic Presence in Modern Art, about an exhibition at Yale University Art Gallery, New Haven, Connecticut, that concluded in January 2016. The show presented more than 80 objects by such artists as Kenneth Price, Lucie Rie, and Peter Voulkos—all part of the Linda Leonard Schlenger Collection or the gallery. 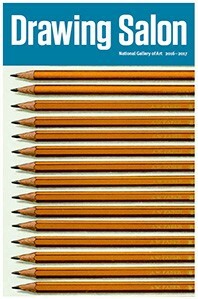 An exhibition catalogue with 139 color illustrations is available. ✭ Utah State University's Nora Eccles Harrison Museum of Art, Logan, Utah, is presenting "Lighting the Fire: Ceramics Education in the American West". Its objects drawn from the museum's important ceramics collection, the exhibition surveys the work of more than 20 ceramists who, through innovative teaching, helped position clay as a fine art medium in the mid-20th Century. A list of the potters whose work is on view is at the exhibition link above. The exhibition continues through December 10. ✭ On view through December 9 at CARe's Doug Adams Gallery, Berkeley, California, is "The Hermitage of Landscape: Works by Nicholas Coley". Earlier this year, Coley had a solo exhibition of recent plein air paintings at Fort Mason Center for Arts & Culture in San Francisco. See a selection of Coley's paintings. 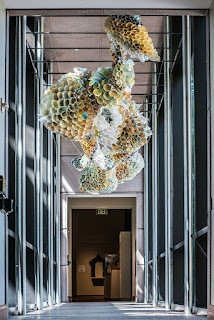 ✭ There's still time to see the installation "Living Hive" at Virginia's Danville Museum of Fine Arts and History. The show, which continues through October 9, presents conceptual artist Elsabe Johnson Dixon's bee-keeping project, which includes Dixon's sculpture of a honeybee hive. Dixon created the hive, which is now wax-covered, as part of her exploration of bees' activities and reactions to human-made structures. Read Denice Thibodeau's article about the exhibition, "Combining Love of Art and Nature, Project Charts Honeybees Reacting to Man-Made Structure" in The Danville Register. View images at the article link and on Dixon's FaceBook page. ✭ A show of jewelry at Bechtler Museum of Modern Art, Charlotte, North Carolina, continues through January 8, 2017. The exhibition, "All That Sparkles. . . 20th Century Artists' Jewelry", celebrates the craftsmanship and creativity of 20th Century artists who used the art form to explore texture and color, as well as new techniques and materials. It features work by artists in Bechtler's collection, including Raffael Benazzi, Alberto Giacometti, Alicia Penalba, and Niki de Saint Phalle. The jewelry is shown with examples of "more conventional" artwork by such artists as Harry Bertoia and Claire Falkenstein. ✭ In Minneapolis, Minnesota, the Veronique Wantz Gallery is presenting work by local painter Kei Gratton in the solo exhibition "Within/Without". The all-new works can be seen at the gallery through September 8. ✭ At the Crow Collection of Asian Art, Dallas, Texas, you'll find "Abhidnya Ghuge: Flight of the Canyon", a site-responsive installation comprising thousands of woodblock-printed paper plates whose designs are inspired by organic patterns in nature. The plates hang precariously above the space where viewers walk. The installation is on view through November 27. At the exhibition link above is an artist talk and additional images, including close-ups, of Ghuge's beautiful artwork. Today, the Thursday's Three column spotlights a new chapbook and two new full-length collections. 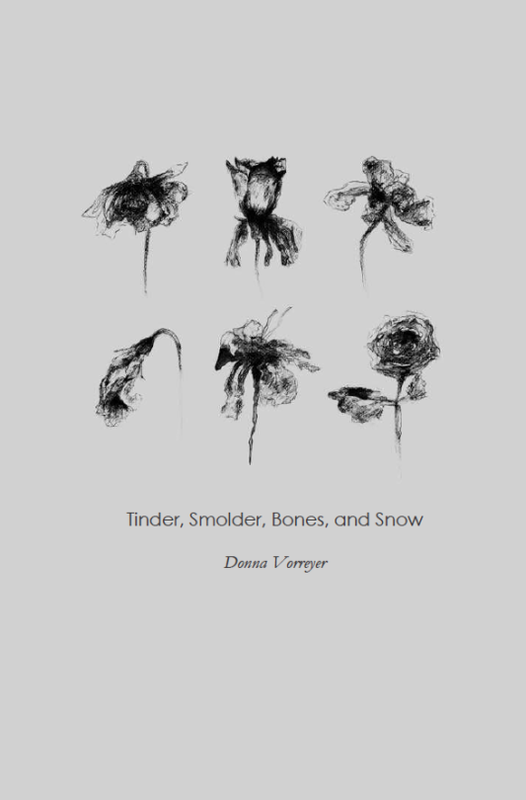 ✭ Donna Vorreyer's Tinder, Smolder, Bones, and Snow (July 2016) is available from one of my favorite chapbook publishers, dancing girl press. This is an especially lovely set of poems. Vorreyer has written six other chapbooks, including the 17-poem cycle Encantado (Red Bird Chapbooks, 2015), illustrated by Matt Kish. 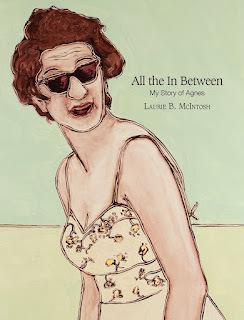 Her most recent full-length collection is Every Love Story is an Apocalypse Story (Sundress Publications, 2016). 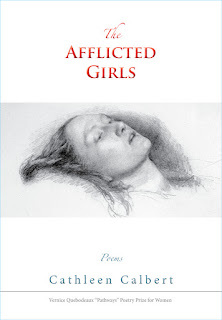 ✭ Cathleen Calbert's The Afflicted Girls (Little Red Tree Publishing, July 2016) is the winner of the Vernice Quebodeaux "Pathways" Poetry Prize for Women. The 120-page collection, which includes six color paintings, comprises a series of poetic monologues in women's voices. Calbert has written three other poetry collections. 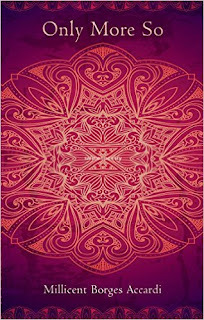 ✭ Portuguese-American poet Millicent Borges Accardi's third poetry book is Only More So (Salmon Poetry, 2016), a collection of 48 lyrical poems that, according to Accardi, focus on "bodies as language, women as witness, and the collective unconscious." 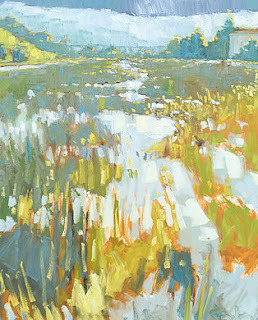 elusive creative hand step in and work. . . .
Columbia, South Carolina, visual artist Laurie Brownell McIntosh, a professional graphic designer with a bachelor's degree in fine art from the University of South Carolina, is something of a restless spirit when it comes to making art; she's always exploring the creative process via different mediums to find new ways to express her ideas, whether through line, color, pattern, or texture. The artist collaborates, too, most recently with novelist Jodie Cain Smith on the mixed-media piece New Nest. Empty Nest., which relates the two women's different stages of motherhood. In the past, she's also collaborated with North Carolina sculptor and metalsmith Jim Adams. (Read "Art Exhibit Benefits Penland, an Artists' Epicenter" in The State (2014) and "'Penland Connections' Offers Vibrant, Energetic & Playful Works" in Free Times (2014). McIntosh, who has studied at the well-known Penland School of Crafts with Pinkney Herbert and Holly Roberts, at Anderson Ranch Arts Center with Roberto Juarez, and at Maine's Center for Creative Imaging, will have an exhibition at Vista Studios/Gallery 80808, in Columbia, November 12-29. An opening reception is planned for November 12. If you visit Columbia, head to Vista Studios, where McIntosh is a full-time resident artist in Studio 6. Toward the end of 2015, I posted a Saturday Short column about a forthcoming film about the poet Larry Levis, who was just 49 when he died in 1996. Now, a trailer for the documentary, A Late Style of Fire | Larry Levis, American Poet (13 Ways Productions, 2016), which is produced and directed by Michele Poulous, is available. For additional information about Levis and the film, which will have its world premiere this October in California, see Saturday Short. I also recommend reading The Selected Levis, Revised Edition (University of Pittsburgh Press, 2003) and The Darkening Trapeze: Last Poems (Graywolf Press, 2016). I have copies of both and find myself returning to them often. Levis was a remarkable poet. In Washington, D.C., the National Gallery of Art plays host to an annual series of creative writing workshops that draw on NGA's permanent collection for inspiration. The workshops are led by area writers, including poets and playwrights. In addition to examining artworks that are useful in teaching and learning about elements of creative writing, the workshops feature writing exercises and conversation. Each program in the series addresses a specific aspect of writing; this year, the programs cover monologues and dialogues, short-form poetry, memory's role in reflective writing, and the literal and metaphorical roles of setting. ✦ Character: The Spoken Word ~ September 30 and October 1, 2, 15, and 16. Register beginning September 27, 2016. The sources of inspiration are paintings by Berthe Morisot and Mary Cassatt. ✦ Poetry: Words in Motion ~ January 6, 7, 8, 14, and 15. Register beginning January 3, 2017. The sources of inspiration are Alexander Calder's playful and colorful mobiles. ✦ Memoir: Art from Life ~ February 24, 25, and 26 and March 18 and 19. Register beginning February 21, 2017. The sources of inspiration are the surrealist works of Joan Miro. ✦ Setting: The Power of Place ~ April 21, 22, 23, and 30. Register beginning April 18, 2017. The source of inspiration is a Venetian cityscape by Canaletto. Created for all skill levels, the writing workshops are free and open to the public, ages 18 and older. Participants are asked to bring their own writing materials. Registration is required the Tuesday before the start of a program because of limited-space availability. For details, see Writing Salon. A downloadable two-page program (pdf) also is available. Guilt is exile's eternal companion. Matar's novels are In the Country of Men (2008) and Anatomy of a Disappearance (2012). Today's short is the trailer for Gifts of Grief, a documentary whose subjects include the writer Isabel Allende. The 2005 film, which is available as a DVD, was directed and produced by Nancee Sobonya. ✦ John Yau writes about the Alma Thomas exhibition at Studio Museum in Harlem for Hyperallergic. The exhibition, "Alma Thomas", continues through October 30. ✦ Yesterday's Artist Watch at Escape Into Life showcased work by printmaker Luca Cruzat. 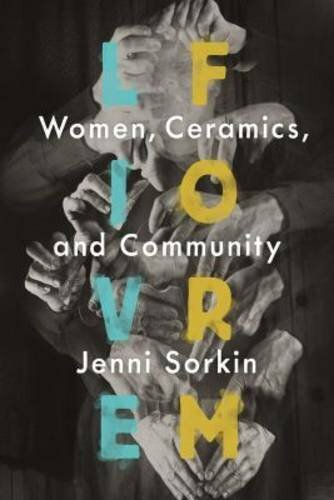 ✦ Read an excerpt from LiveForm: Women, Ceramics, and Community (University of Chicago Press, July 2016) by art historian Jenni Sorkin. ✦ The University of Texas Press has published photojournalist Paula Bronstein's exemplary collection Afghanistan: Between Hope and Fear (August 2016), described as "the most complete visual narrative history of this pivotal Middle East country currently in print." See the book's UT Press page for a look inside. 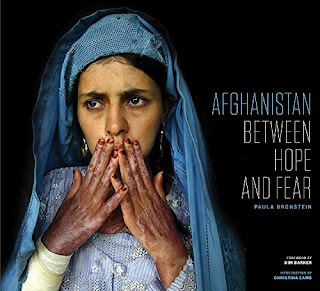 Also see Bronstein's Website for additional images from Afghanistan. The photographs are extraordinary. ✦ The video below is titled The Year My Sisters Died. 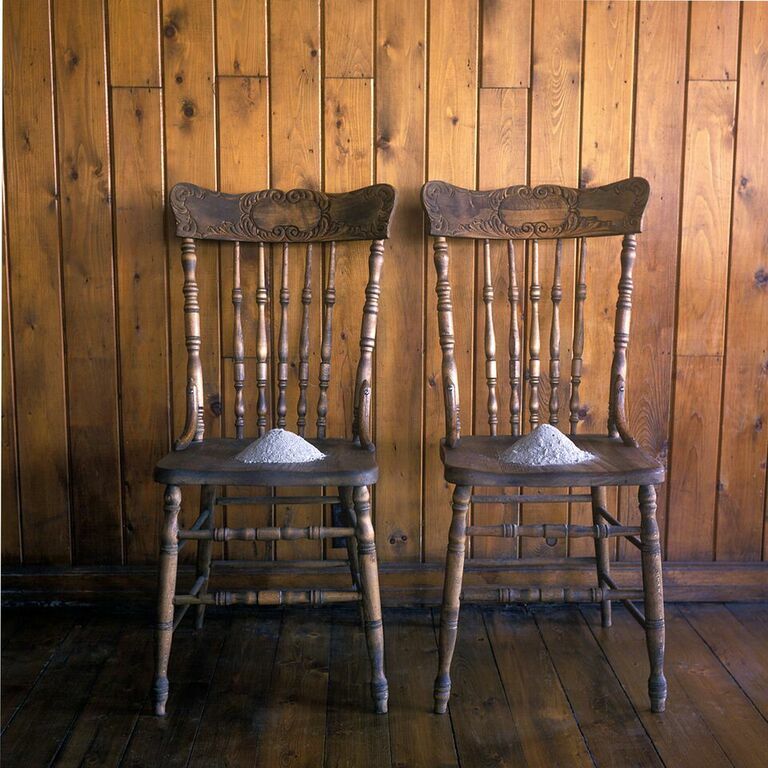 Created by Cleveland photographer Honey Lazar and video/performance artist Lauren Voss, it is included in "Interrupted", a thematic exhibition about loss and longing, at Coburn Art Gallery at Ashland University, Ashland, Ohio. The exhibition remains on view through September 25. YMSD Segment from Lauren Voss on Vimeo. ✭ Visual artist Vesna Jovanovic's 2013-2014 series of conceptual drawings of the human body is on view in "Foreign Bodies" at the Delaware Center for the Contemporary Arts, Wilmington. According to Jovanovic's Artist Statement, the drawings, on exhibit through October 30, "reference medical illustration while depicting various objects that may or may not commonly be thought of as part of the human body. . . Each piece shows the result of various musings regarding what might enter the body surgically, accidentally, deliberately, violently, and aesthetically." View Jovanovic's Foreign Bodies series. ✭ In Lincoln, Nebraska, Sheldon Museum of Art is presenting "Saya Woolfalk: ChimaTEK: Kaleidoscopic Camouflage", an exhibition of site-specific works that respond to the museum and its collection. The show continues through December 31. Images are available at the exhibition link above. ✭ Continuing through October 23 at Center for Maine Contemporary Art, in Rockland, is "Lauren Henkin: Second Nature". Using photography and video, Henkin examines our perceptions of nature and engagement with the natural world, raising questions about the real and the virtual. Henkin's photographs were made over three years. The exhibition presents the entire body of her Second Nature series. Henkin will give a gallery talk on September 25 at 4:00 p.m.
See Henkin's broadside, for which she paired nine of her Maine photographs with Mark Strand's Lines for Winter. ✭ The Great Plains Art Museum at the University of Nebraska, Lincoln, has mounted a show about Native American spirituality. Titled "Contemporary Indigeneity: Spiritual Borderlands", the exhibition, which continues through December 17, examines how artists working in diverse media interpret sovereignty, spiritual connections to land, and cultural identity within the boundaries of the Great Plains. Exhibition jurors (Netha Cloeter, heather ahtone, and Jill Ahlberg Yohe) will gather November 3 at 7:00 p.m. for an informal panel discussion about their selection of the exhibition's artists and the topic the exhibition addresses. 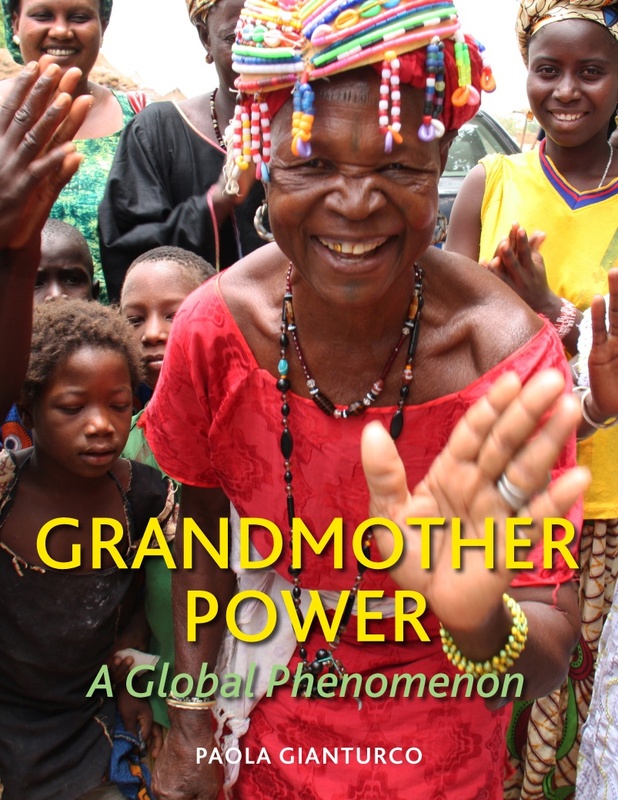 ✭ September 18 marks the opening of "Grandmother Power: A Global Phenomenon", at The Dennos Museum Center, Traverse City, Michigan. 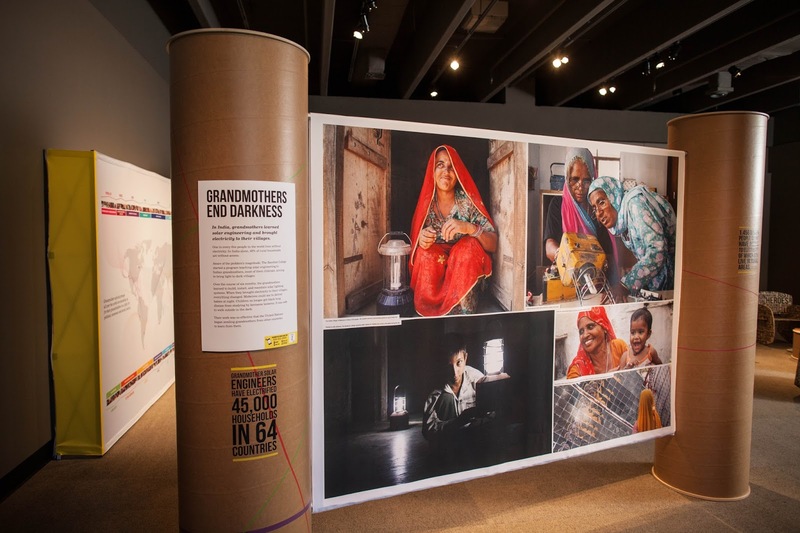 The exhibition is about grandmothers the world over who campaign for political, economic, and social justice. The inspiration for the show, which was created by Grand Rapids Public Museum and Genesis/Denver, is documentary photographer Paola Gianturco's book Grandmother Power: A Global Phenomenon, (PowerHouse Books) which includes photographs and stories about 120 activist grandmothers in 15 countries on 5 continents. The exhibition at Dennos runs through December 31. 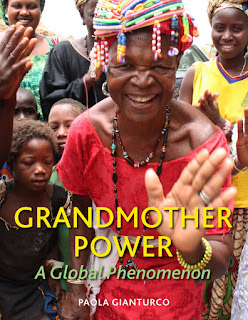 Paola Gianturco: Documenting Incredible "Grandmother Power" Around the World from PhotoWings on Vimeo. Watch a CCTV America video about Gianturco's project: "Full Frame Essay: Documenting Women Improving the Lives of Children".